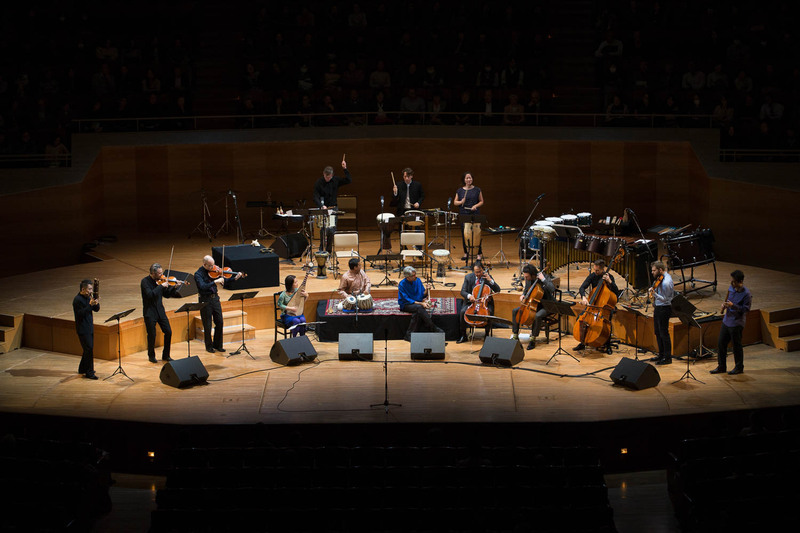 “The Music of Strangers: Yo-Yo Ma and the Silk Road Ensemble” (2015 production, 2016 release). 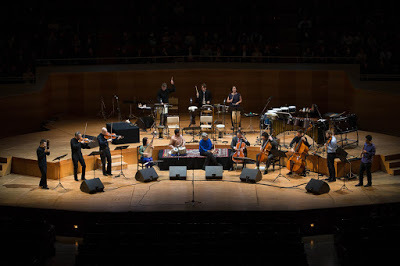 Cast: Yo-Yo Ma, Kinan Azmeh, Wu Man, Kayhan Kalhor, Cristina Pato, John Williams, Bobby McFerrin. Director: Morgan Neville. Web site. Trailer. Child prodigy cellist Yo-Yo Ma made a huge splash with his abilities at a tender young age. But, for all his abilities and fame, he felt somewhat unfulfilled. Indeed, as one colleague observed, Yo-Yo was a tremendous musician who nevertheless lacked a voice, and that’s what he needed to find. As someone who had always taken a wider view of life than just his music, Yo-Yo looked for an undertaking that would somehow allow him to fuse his interests and talents. 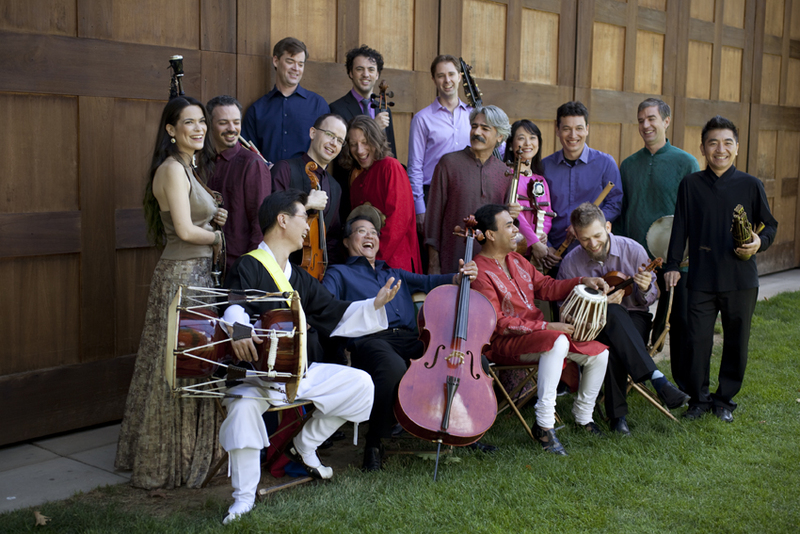 Having been inspired by lectures promoting cross-cultural musicological topics delivered by famed conductor-composer Leonard Bernstein while attending Harvard in the 1970s, as well as by writings on the same topic by his own father, Yo-Yo decided to tangibly expand on those theoretical ideas in 2000 by forming the Silk Road Ensemble. After conducting a global search to find the best musicians and composers from cultures all over the world, Yo-Yo brought them together for a collaborative musical experiment at Tanglewood, Massachusetts to see what emerged, what one observer termed the artistic equivalent of the Manhattan Project. Critics abounded at first, scoffing at what they saw as an ill-conceived attempt at musical fusion, a sort of “cultural tourism” as they called it. And, admittedly, initial attempts to get things off the ground were somewhat shaky. But, as the musicians came to know and understand one another and their art, magic began to happen. The musical blends that arose from the combination of Western and indigenous talents, arrangements and instrumentation produced fresh, vibrant new sounds never before heard. After that first session ended, the next logical question, of course, was “What’s next?” Was this a one-time fluke? Or was it something that should keep going, even if it lacked a definitive sense of direction? Yo-Yo and his collaborators got their answer on the morning of September 11, 2001. The Silk Road Ensemble, one of the most inventive musical collaborations of recent years, celebrates its unique sound in “The Music of Strangers: Yo-Yo Ma and the Silk Road Ensemble,” a new documentary about its history and featured performers. Photo courtesy of silkroadproject.org. In the wake of the terrorist attacks of that fateful day, Yo-Yo and his fellow musicians realized they had to keep going, that their art was a powerful weapon against fear and tyranny, that it was needed now more than ever. The ensemble resolved to use their music to promote cross-cultural understanding at a time when it was likely to be available in increasingly short supply. And 15 years later, after the release of six albums and performances to over 2 million people, Silk Road is still together and going stronger than ever, as evidenced by this new documentary. In addition to the ensemble’s history, the film includes the personal stories of several of its featured performers, including Syrian clarinetist Kinan Azmeh, Chinese pipa player Wu Man, Iranian kamancheh virtuoso Kayhan Kalhor and Galician bagpipe artist Cristina Pato, as well as Yo-Yo Ma himself. Their diverse stories, sensibilities and aspirations for what they hope to achieve through their art are all moving and inspiring, prime examples of what Silk Road set out to achieve at its founding. Their individual and collective works demonstrate what it means to be a citizen not only of their own respective cultures but of the world itself. Through the stories of the collective and of the individual musicians, it’s easy to see that Silk Road is more than just a glorified jam session by a group of talented performers. Its existence serves a bigger purpose, which clearly signals that its formation came about as a result of very specific intents. And that lends credence to the notion that the ensemble is most definitely a product of the conscious creation process, the means by which we manifest our reality through the power of our thoughts, beliefs and intents. What a job they did, too! 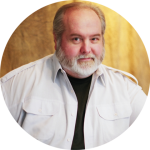 Silk Road’s very existence epitomizes several key conscious creation principles. For example, the ensemble’s creations clearly embody its artistic and social mission, and they do so quite ostensibly, not just by inference or implication. Its success at achieving its goals unmistakably signifies the power of the beliefs and intents underlying these results, providing a potent example of what’s possible when we’re assured of our convictions and our resolve to see them through. Further, the ensemble’s albums and performances demonstrate what’s attainable through the power of co-creation. While individual accomplishments are certainly laudable, the jointly manifested outcomes that result from the determined efforts of a group of collaborators putting their talents and minds together are truly impressive and inspiring, as evidenced by what’s on display here. The example set by the Silk Road musicians and composers shows us the kind of greatness that can be achieved when we cooperate to produce dazzling results, a concept readily applicable to any field of endeavor. Cellist Yo-Yo Ma (center) and his eclectic band of collaborators show off their unique fusion of talents in director Morgan Neville’s uplifting new documentary, “The Music of Strangers: Yo-Yo Ma and the Silk Road Ensemble.” Photo courtesy of silkroadproject.org. The dual purposes served by Silk Road’s existence also show us how our creations can fulfill more than one goal. On the surface, the ensemble’s most obvious reason for being is the music it produces. But, when one looks past the notes, it’s apparent that the group serves another, arguably more important purpose – that of promoting cultural preservation and cross-cultural understanding. Indeed, would these artists have known anything about their collaborators’ music and culture were it not for the ensemble’s existence? Such awareness not only strengthens the inherent human connection we have to one another, but it also enriches the creative process, enabling the composition of music that blends multiple influences in terms of what sounds arise, what meanings they convey and what feelings they evoke. That’s quite a nuanced and layered accomplishment. Inherent in that, of course, is the very notion of our innate connectedness itself. As several ensemble members note, they may not speak one another’s languages, but they’re all fluent in the universal language of music, something that becomes readily apparent in their collaborations and performances. It binds them and brings them closer to one another than perhaps any other influence.  Drawing upon art to illustrate the power of, and to reinforce our awareness of, this intrinsic, pervasive linkage is a compelling way of reminding us that we ultimately have more commonalities than differences – provided, of course, that we allow ourselves to recognize that fact, to bring us together rather than to keep us needlessly apart. As significant as these underlying collective creative intents are, the beliefs of the individuals involved are just as important. They enable the personal accomplishments these musicians seek to achieve, again both artistically and in a wider social context. Their participation in such a successful, prominent venture gives them the credibility and clout to make it possible for them to pursue their own individual ventures, endeavors ultimately driven by beliefs and intents just as focused and purposeful as those that they bring to their joint efforts. For instance, Azmeh’s association with Silk Road raised his profile sufficiently enough so that he could carry out one of his own personal missions – bringing music education to the children who live in the Jordanian refugee camps occupied by escapees from his native war-torn Syria. Likewise, Kalhor’s affiliation with the ensemble has enabled him to increase public awareness of the kamancheh, an indigenous instrument in danger of virtually going extinct. Meanwhile, for Pato, participation in this project has allowed her to draw attention to Galician culture and music, richly distinctive institutions barely known outside her native Spain. But, above all, Silk Road’s formation has given Yo-Yo the voice he long sought, a project that fused his musical and humanitarian aspirations, one that has brought meaning to his art – and that has led to the creation of art reflecting that vision. When all of the foregoing is considered collectively, the multifaceted experience of this remarkable group of musicians provides the rest of us with a remarkable illustration of the underlying metaphysics that have gone into its creation and a tangible example that we can emulate in our individual and collective materialization efforts. That’s quite a lot to come out of what seemingly began as little more than an impromptu gathering of performers getting together just to make a little music. 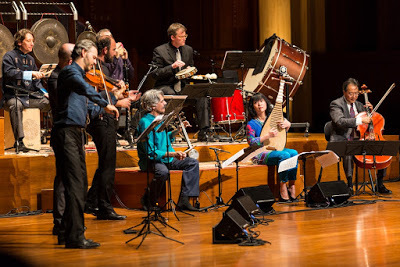 From ethereal to rousing, the eclectic Silk Road Ensemble presents a variety of moods in its various performances presented in the new documentary, “The Music of Strangers: Yo-Yo Ma and the Silk Road Ensemble.” Photo courtesy of silkroadproject.org. “The Music of Strangers” is quite easily the best documentary, if not one the best films overall, that I’ve seen in quite some time. This intimate, transcendent portrait of one of music’s most original and inventive ensembles showcases both the distinctive collaborative art it brings to the world, as well as the greater purpose it serves in fostering global, cross-cultural awareness. In addition to interviews with the featured artists, the film includes clips with friends and fans of the ensemble, such as composer John Williams and musician Bobby McFerrin, as well as a variety of stirring performances by the ensemble from venues all over the world. Director Morgan Neville, who won an Oscar in 2014 for his excellent documentary “Twenty Feet from Stardom” and who earned additional acclaim for his poignant and wickedly funny 2015 offering “Best of Enemies,” has hit another home run with this release, perhaps his best work date. It’s easy to make a joyful noise about this euphoric cinematic offering, one whose music and inspiring enthusiasm are downright infectious. Those who believe in taking a global perspective about life, regardless of the context, should make it a point to see this one. When we hit upon something that works, that stirs the soul and rouses the spirit, we naturally want to make it known for all to see and hear. Indeed, that’s truly the time to make a little noise about it. The Silk Road Ensemble seems to have perfected that art, and, thankfully, this cinematic chronicle of their efforts certainly does it justice. Try containing your enthusiasm when you come out of the theater after watching this one. You just might be inspired to want to make a little noise of your own.